When and What is the 13? 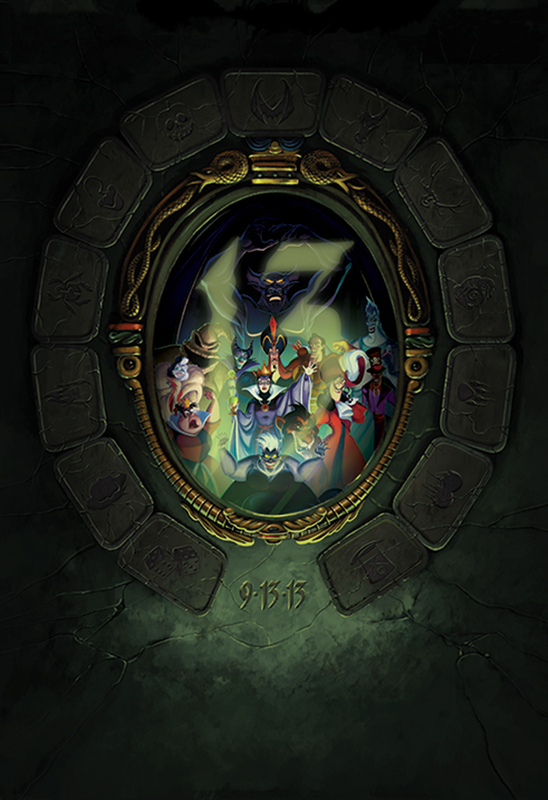 We learned back at Mickey’s Circus that this year’s big trading event was going to be called 13: Reflections of Evil. 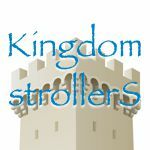 Today, the Disney Parks Blog gave us more info, and it kinda blows my mind. 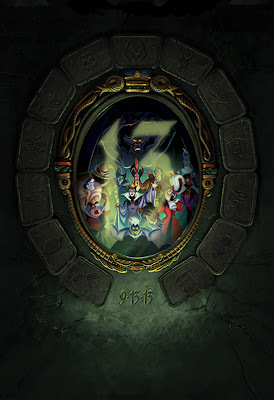 Not only is this event starting on the Friday the 13th in the year 2013, but according to the story, it’s going to feature 13 Villains who have come together to gain power. The only way this can happen is by using the Magic Mirror to bring all these villains to the same world. This was done. This is an awesome story that seems to be leading to an awesome event. It almost makes me want to see all three days! 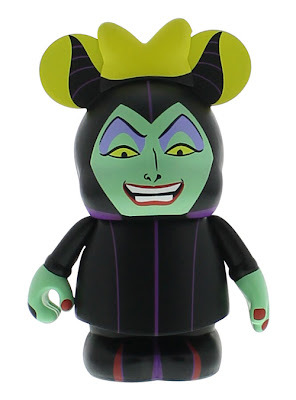 I am also hoping for a series of 13 Villains Vinylmation to go with this story (It could be Villains 4!). But based on the pieces revealed today, I don’t think that’s happening (unless there is a lot more vinyl to come). Today we got to see two figures. First, a Maleficent on the Minnie platform. This is interesting, although I’m not sure abut the use of the bow. I kinda wish they would use the Mickey platform head with the Minnie body to get interesting combo (just like Amber Gonzalez did with her Ladies of Disney Set). 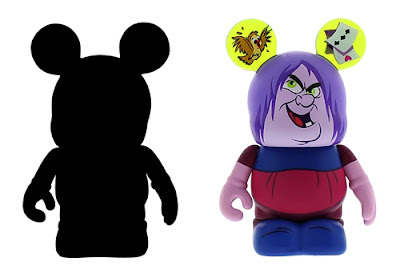 The set Vinylmation revealed was a two pack set with Madam Mim. She looks better then she did last time we saw her in vinyl form. Madam Mim isn’t even in the picture of the event! But the big question is what will be the second vinyl. It could be a mirror, that seems vital to the story. It could be the hero that defeats them. But I think this set of pins will give us a better idea of what it could be. 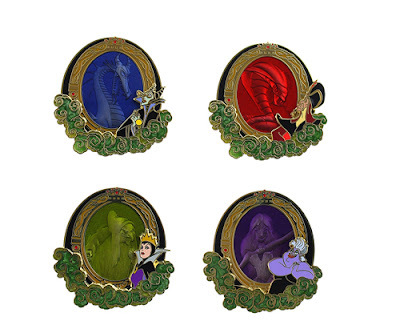 These pins are called the “mirror” set. In it, each villain is shown with their alter ego. How awesome is that? And does that mean that the second piece of the Mim set might be her in a different form? Could they have two piece sets for all 13 villains? In the past they have only had a few vinyl each year, could this be the year they bust out over 26 vinyl? I certainly hope so! Also note, tickets for the 13: Reflections of Evil event will go on sale via DisneyParksMerchandise.com on May 8 at 1:00 p.m. EST. I think the idea of having boxed sets with the villain in two forms would be a very cool concept. I also think having low edition numbers would help. And I don’t know who thought putting Maleficent on the minnie mold was a good idea because it wasn’t.